Russellville High School’s Student Congress competed in the Arkansas Communication and Theatre Arts Association’s 2016 Arkansas Student Congress in Little Rock November 13-15. In the competition, students took on the role of legislators as they debated and voted on bills proposed by the students. 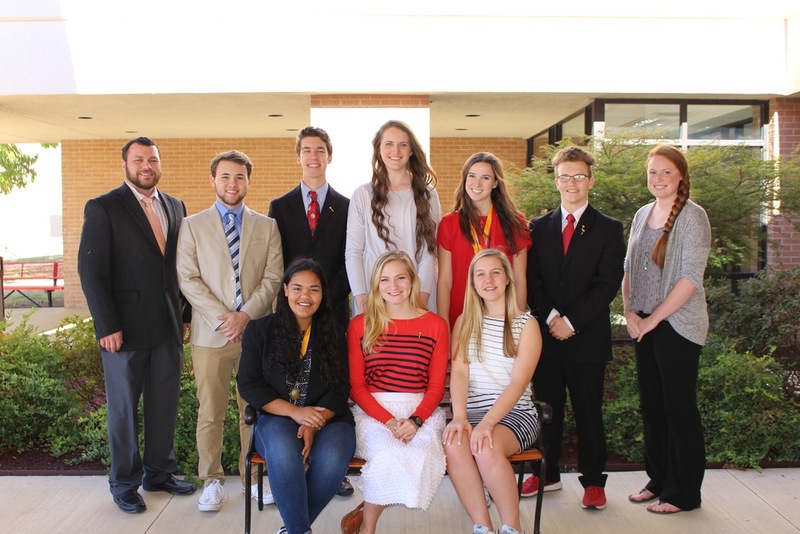 RHS proposed two bills to the Student Congress that were successful. Brant Collins and Maxim VanHoutte authored a bill that was passed through the student House of Representatives, and Mikayla Jayroe authored a bill that was passed by both the student House of Representatives and the student Senate. Jayroe’s bill will be forwarded to Arkansas Governor Asa Hutchinson for consideration in the next Arkansas General Assembly. RHS also received the following awards: Eleanor Duffield received the Exceptional Page Award. Ariston Gray was the Sergeant at Arms for the Senate. In Caucus, Kaitlyn Gilliam and Mikayla Jayroe were both Excellent, and Brant Collins and Annabelle McNeil were Superior. In Committee, Mikayla Jayroe was Excellent, and Annabelle McNeil and Kaitlyn Gilliam were Superior. In Floor Debate, Annabelle McNeil, Maxim VanHoutte, and Zack Snook were Excellent, and Brant Collins was Superior. In Parliamentary Procedure, Brant Collins and Zack Snook were Excellent, and Annabelle McNeil and Kaitlyn Gilliam were Superior. Finally, the Best Russellville Delegate was Annabelle McNeil.